A few weeks ago, GREY2K USA board member Charmaine Settle inspected the Canidrome racetrack in Macau. 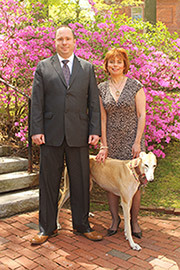 Without question, the situation is bleak for greyhounds at the track. According to news reports, 383 healthy greyhounds were killed at the Canidrome last year. The dogs are imported from Australia, sent to Macau by greyhound breeders who want to increase their profit margins. Once the dogs arrive, they have no way out. When they are no longer competitive, or are injured, they die. This is a dirty little secret of the Australian dog racing industry, and must end. That is why I am asking for your help as we try to rescue Brooklyn. 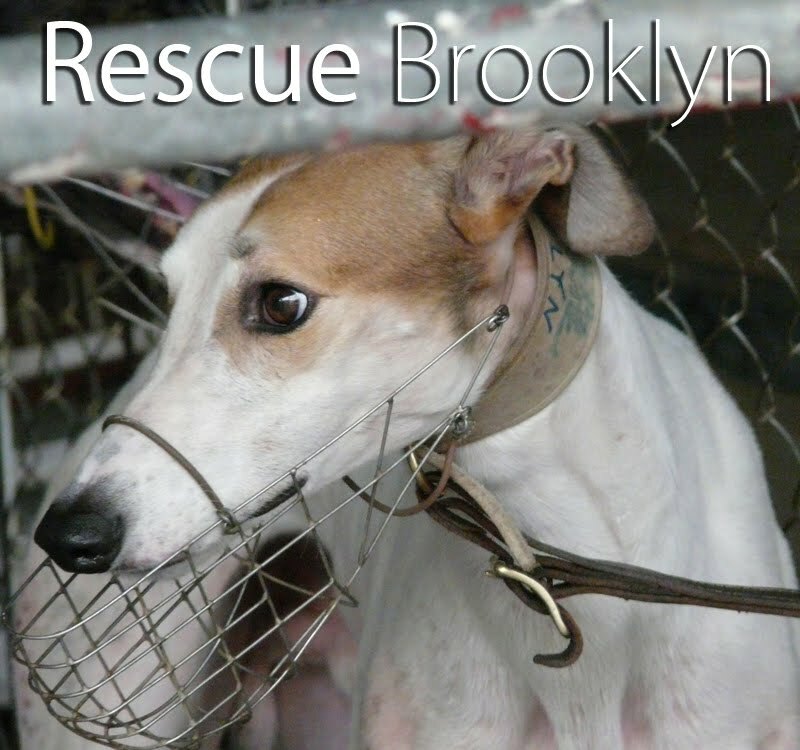 Brooklyn is a two-year-old, white, red and fawn greyhound. He lives at the Canidrome, and won his last race on Sunday. Charmaine took a photograph of Brooklyn during her inspection, and he is very handsome. I am hoping he will eventually make some family very happy. For that to happen, however, we will have to overcome significant logistical challenges. Because Brooklyn comes from Australia, the simplest way to help him is to send him back to a rescue group in his home country. However, even though greyhounds are frequently exported from Australia to Macau, they are rarely sent back. We will have to deal with a quarantine law and other legal challenges, provide transportation from him, and identify an adoption group in Australia that is willing to help him. In short, rescuing Brooklyn will not be easy. Most importantly, we will not be able to rescue Brooklyn unless the Canidrome management cooperates with us, and allows us to send him home after his racing career is over. Today, we sent a letter to the track, asking for their cooperation. We told them, in no uncertain terms, that refusing to work with greyhound advocates would send a very troubling message to the rest of the world. Of course, this effort is about much more than Brooklyn. It is also an opportunity for us to explore the challenges that exist in trying to help all of the Macau greyhounds. To support this campaign, we have launched a new website at RescueBrooklyn.org and will provide further updates as they become available. Please visit RescueBrooklyn.org today, and find out how you can help this important effort. We have made the first move in the campaign to rescue Brooklyn, and must now wait for the Canidrome to respond. The answer we receive will tell us a lot about the future of all the greyhounds in Macau.